The new driver license center in Edinburg. 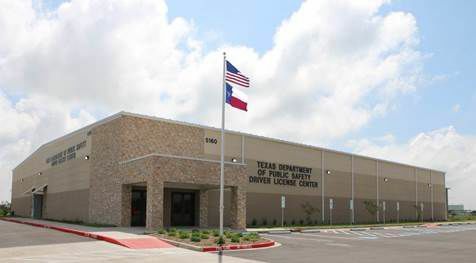 A new Texas Department of Public Safety driver license center will open at 8 a.m. Monday, Oct. 23 in Edinburg. It will be located at 5160 N. Interstate 69C. The center is more than 22,000 square feet and will include 12 processing workstations with the ability to add an additional 12, upgraded technology and lanes designated for commercial driver license skills testing, according to a DPS news release. The office will also feature convenient technology that allows customers to get in line before they arrive at the office via cell phone, land line or online, the release states.